The new codeshare partnership which will provide both airlines customers with greater access to key leisure and business destinations in North Africa, Europe, Canada, Asia and Australia. The Abu Dhabi based Etihad Airways is to codeshare on Royal Jordanian services to select points in Europe, North Africa and Canada. 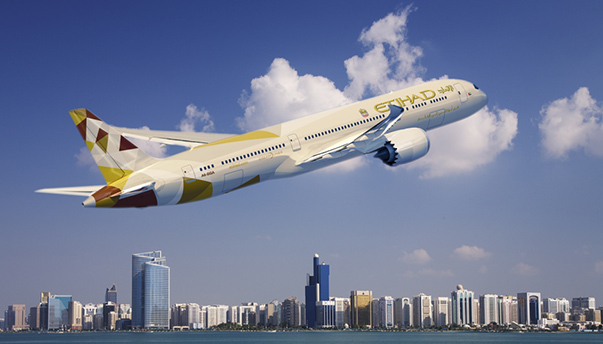 While Royal Jordanian customers to have access to Etihad destinations across Asia and Australia. This is the first partnership deal between the two airlines, who offer multiple daily services between their respective hubs in Abu Dhabi and Amman. The partnership will see Etihad Airways place its ‘EY’ code on Royal Jordanian’s flights from Abu Dhabi via Amman’s Queen Alia International Airport to Larnaca and Berlin, while Algiers, Tunis, Vienna and Montreal will be added to the agreement soon.